When I first saw the signage for Posh at their West Broadway location over a year ago when they opened that outlet (there are three in total around the GVA), I was struck by the obvious imbalance between the UK English meaning of the word “posh” versus the very North American concept of “all you can eat”. Billing itself openly as the “first exclusive Sukiyaki restaurant in North America”, was it playing on that “exclusivity” connotation that posh sometimes takes on? In other words, was it really unique? I also have some doubts about their being the only such restaurant on this continent, but that will require some more investigation. Or was it the visual element that posh also refers to, playing up the possibility of the design being one that is elegant and stylish? Either way, the ties to posh being “expensive” made me confused with their set stuff-yourself-silly pricing model. Add the offering of only Grade A beef, and pork shoulder… clearly nothing high end. 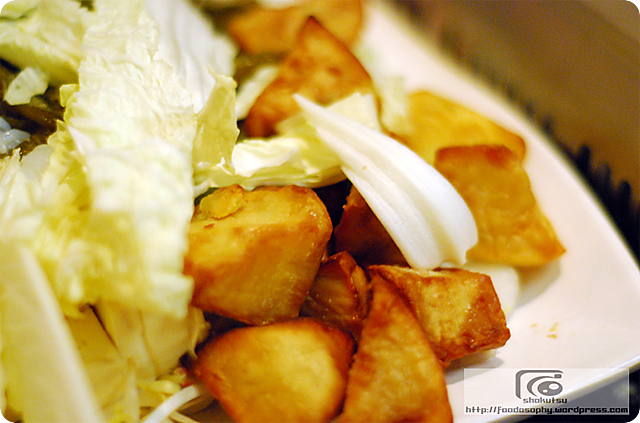 For those who are unfamiliar, SUKIYAKI is a dish popular in Japanese cuisine, and is very much a home-style food. 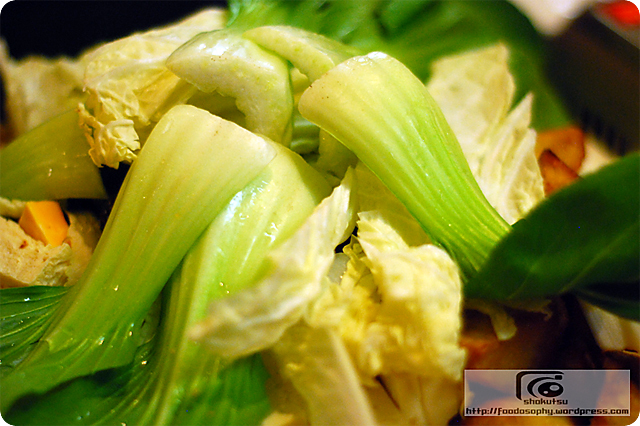 Usually the main ingredients are sliced negi (scallions), shiitake mushrooms, hakusai (Chinese cabbage), shirataki (kojac noodles) and tofu with thin slices of beef all simmered together in a salty-sweet broth (made up of dashi, shoyu, mirin, sake and sugar), and eaten in a raw egg dip. As with most things in Japan, there are some slight differences between the eastern and western variations on this dish. So when the big iron pot was brought to our table and placed on a portable burner, I was somewhat taken back by the appearance of a completely full vessel with only the sliced cabbage inside. Because for me, sukiyaki means something that is all cooked together at once (meat and veggies) and eaten in the same manner. Order sheets needed to be filled out to get any additional ingredients such as the meat and vegetables. I had figured you’d be given the standard sukiyaki grouping of items as mentioned above, and then given the choice to order more of the same, but alas I was mistaken. To better explain this, the photo taken above shows the standard components brought to your table for the sukiyaki tabehoudai (all-you-can-eat) at Mo-Mo Paradise in Tokyo – a popular (under 2,000 yen/person) chain restaurant that serves both sukiyaki and shabu-shabu that I’ve been to several times over the years. On this vegetable front though, Posh certainly didn’t miss much, as the assortment of items from the garden was wide and varied. Certainly a popular thing for those vegetarians out there, or for those carnivores who are making a personal decision to dine on veg, and veg only these days. Coincidentally, one of my dining partners on this evening was one of those latter folks. 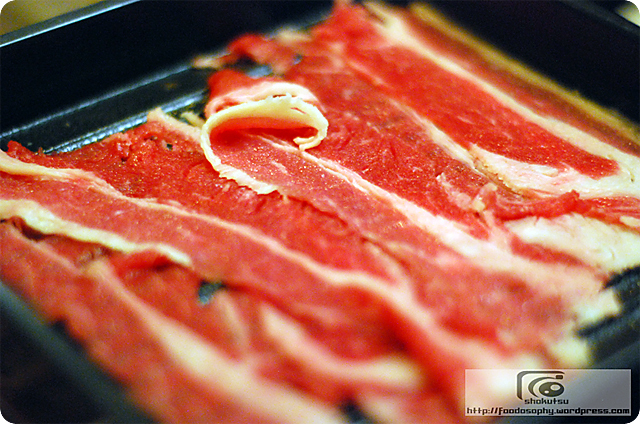 The trays of beef and pork, of which we ordered many, were really thinly sliced. 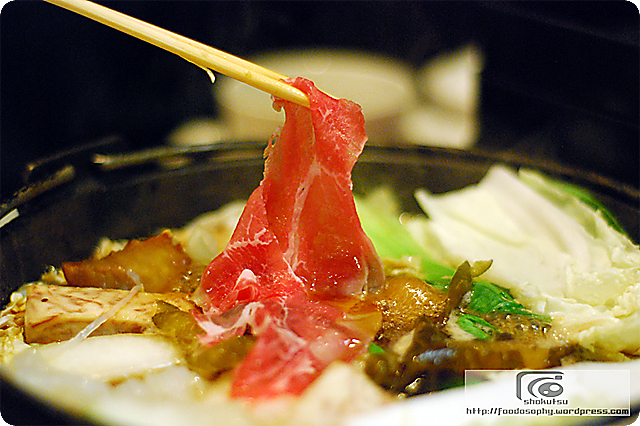 Usually my experience is that beef for sukiyaki is slightly thicker than for shabu-shabu. 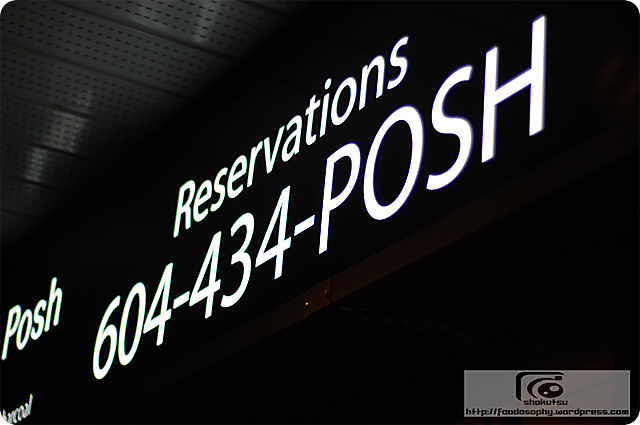 But at Posh, it was really suited more for shabu-shabu style in my opinion. I suppose when its done that thinly, it helps to mask the lower grade of product being used. 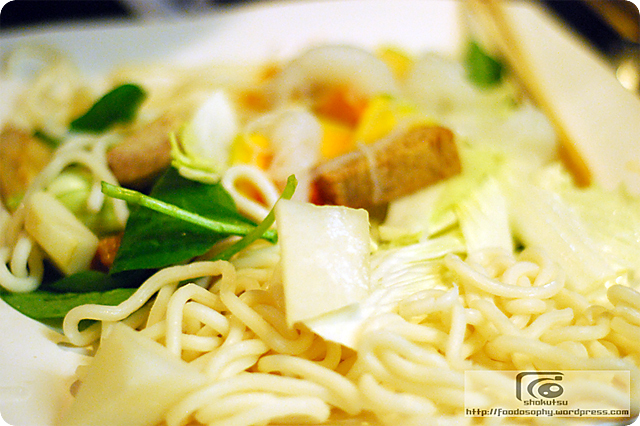 Lastly, I wanted to comment on the fact that you could get some noodles as a menu item. I liked that addition as it gave a refreshing textural and stomach-filling contrast to the meat and veg. After close to two hours of stuffing ourselves silly, and a steady delivery of extra plates and order sheets, I had to collect my thoughts on how I would rate this place. In terms of the value-volume balance, its obvious there can be no complaints. Despite a packed house, there was never a sense they were anxious to get out out so they could refresh the table and get another crew to drop almost $16/head charge. In terms of authenticity, the much larger and therefore deeper cooking bowl, made me think that the concept here was more hot pot than sukiyaki. Far too much broth and sauce thinning water needed, and everything was drowning in the pot, rather than simmering gently in shallower liquid. Despite the vegetarian-friendly, high abundance of vegetables, again this threw me off the authentic trail, as many of the items you would not traditionally associate with sukiyaki. 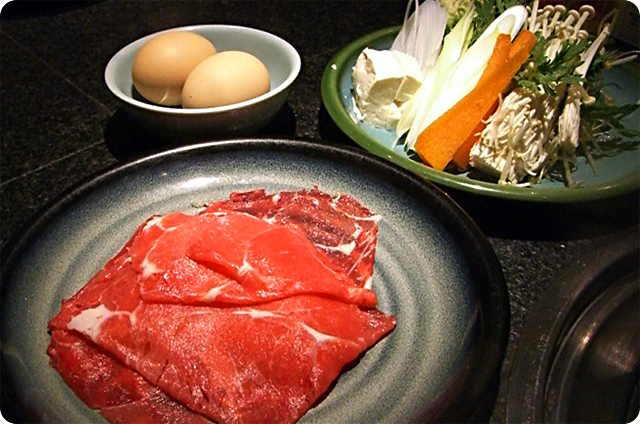 Posh might be “exclusive” in North America, but has not come across as being true to the roots of sukiyaki. I think many diners will leave thinking this is what sukiyaki should be, which is clearly mistaken. 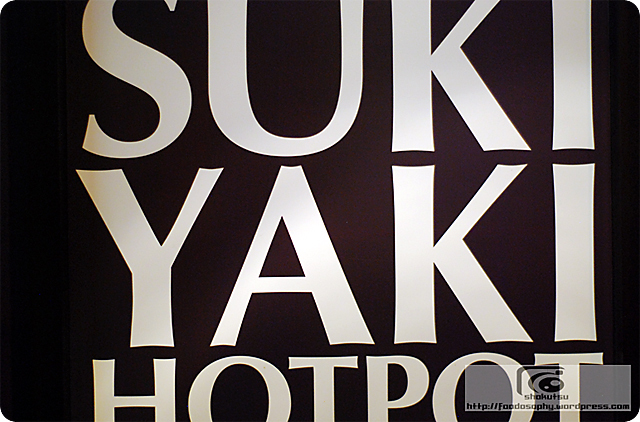 This entry was posted in British Columbia, Burnaby, Canada and tagged all you can eat, hot pot, non-authentic, restaurant, sukiyaki. Bookmark the permalink. 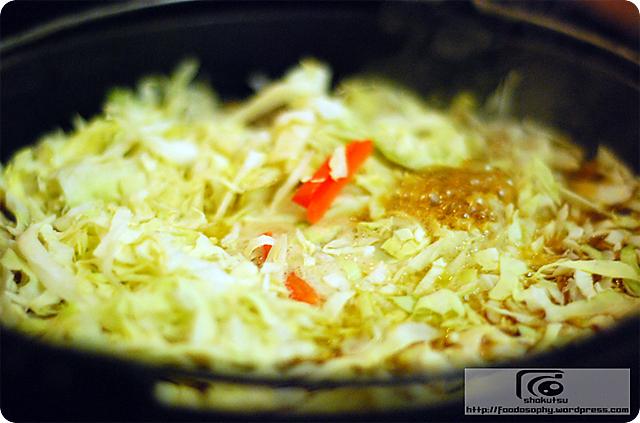 >>Posh might be “exclusive” in North America, but has not come across as being true to the roots of sukiyaki. I think many diners will leave thinking this is what sukiyaki should be, which is clearly mistaken. I suppose the lesson to be taken here is that “perspective” is what it comes down to with a place like Posh. 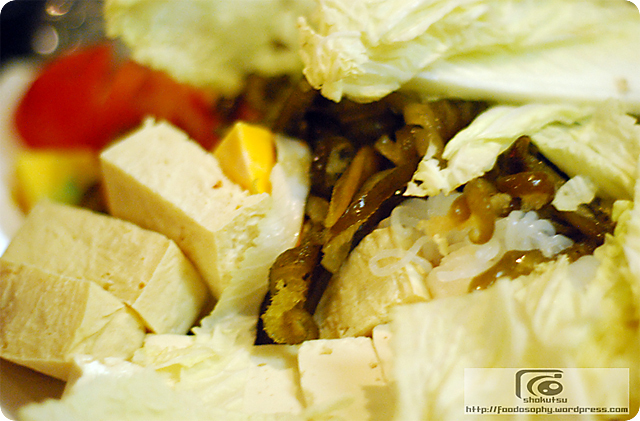 For those who might have more information or experience with a type of cuisine or a dish (in this case, sukiyaki), then granted they might have different expectations than others and feelings about the resulting meal. I know reading many of the posts written by others on Foodosophy, that I often come across things that make me say, “wow, I didn’t know that” or “so that is what is authentic…”. Ignorance is not good, but it certainly can be changed in each and every person by getting out and exploring on your own for the “truth”. And when it comes to food, I would hope that isn’t a big bother to most. Hopefully places like Foodosophy and your site, serve as that kind of information sharing medium that allows people who may know a bit of detail about something to pass it along to someone else, and in turn changes their perspective on some food. Yup, I’ve had authentic Sukiyaki before and Posh ain’t it. But as you mention, it’s AYCE, so it’s never going to be authentic anyways (like all those “Japanese” AYCEs). 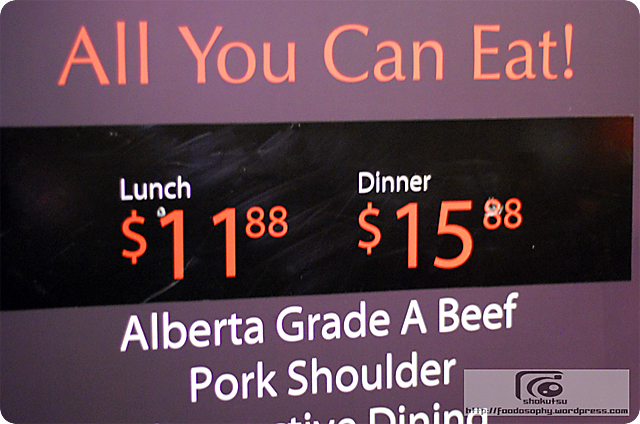 I enjoyed my meal at Posh, but I’m sure there are quite a few people who would not pay $16 for it. Looks like you are another person who perhaps went in there with different expectations as I did. I’m not sure that I completely concur with you about your view on the price point though. For dinner, and given the endless volume and no rush to be forced out by the wait staff, I can see many people who do see this as a good value bet, especially among those AYCE fans out there. For me, even though I didn’t really enjoy it, I didn’t leave thinking I got ripped off for what I had, so that tells me something. I went to the original location of Posh in Richmond when they first opened. I had looked up what sukiyaki was and all, and I knew it wasn’t the same. But at the same time, for about 12-13$ for lunch (prices were cheaper back then) for AYCE “hotpot” basically, how can you go wrong? Intro’d my friends to it pretty shortly after, managed to squeeze 14 people in the upper level of the richmond location. They all liked it and had no problems with it being only two types of meat. Thanks for adding to the price/value discussion thread here. As I noted, at the current price for dinner, given the volume of food you get, I don’t see this turning off many people. At the previous lunch prices that you noted, I’d bet this is even more the case.